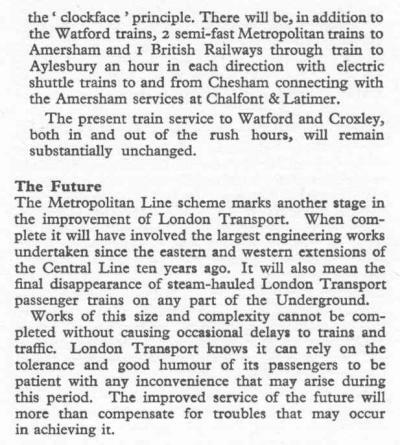 in the 1930s, the New Works Programme proposed the electrification of the Metropolitan Line to Amersham and the introduction of four tracks from Harrow to Rickmansworth to provide extra capacity on the route and to speed up fast and express trains. 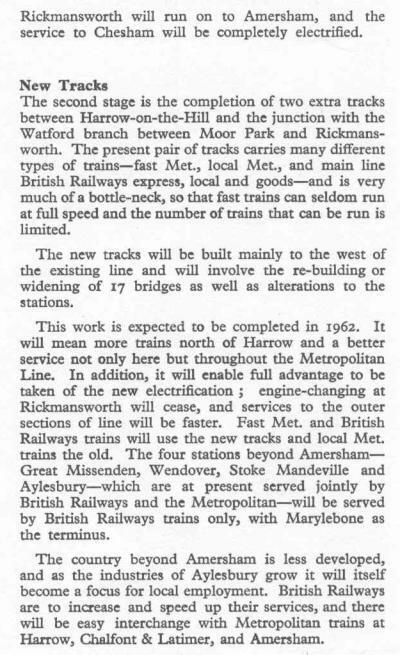 World War II delayed these plans and in the 1950s when they were ready to implement them, the scheme was altered to provide 4 tracks to only just north of Moor Park at the junction of the Watford Branch. 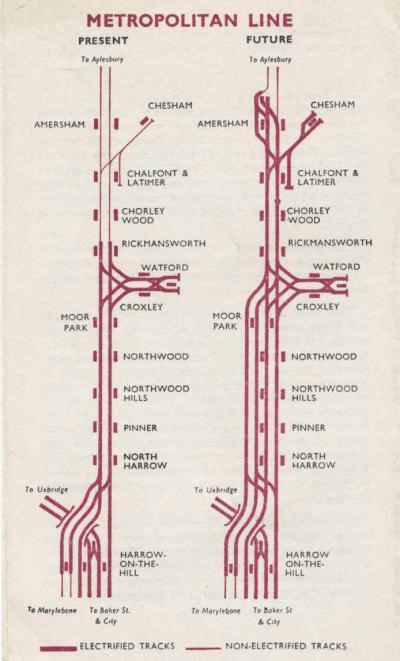 The works were a major undertaking with new stations being built at Northwood and Moor Park. 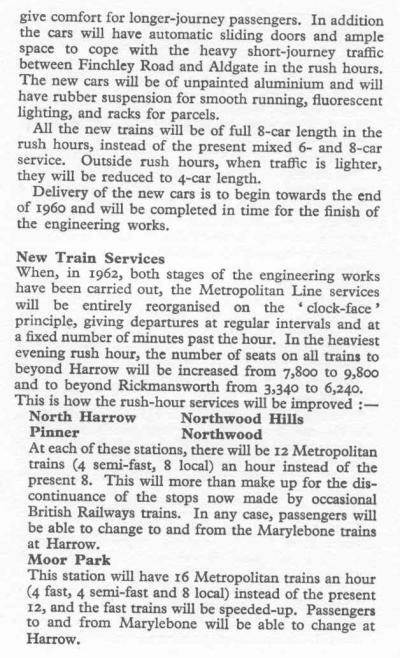 As it turned out, only a few years later British Rail withdrew main line services into Marylebone, nevertheless, the introduction of the fat tracks from Moor Park to Harrow and the electrification has provided for an improved service to Amersham and today helps Chiltern Railways provide fast Marylebone services. 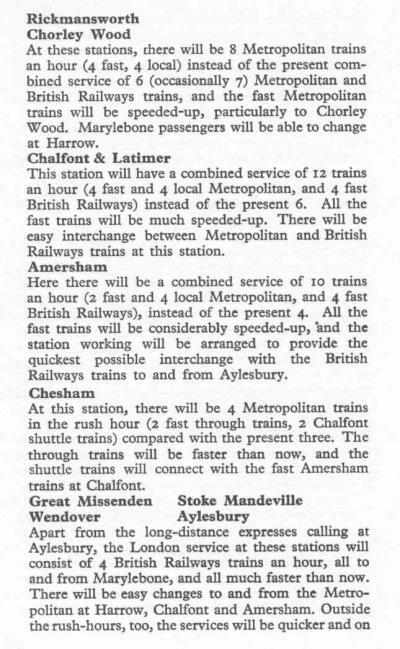 As part of the electrification work, Amersham became the terminus of the Metropolitan Line, with services beyond Amersham only operated by British Rail. 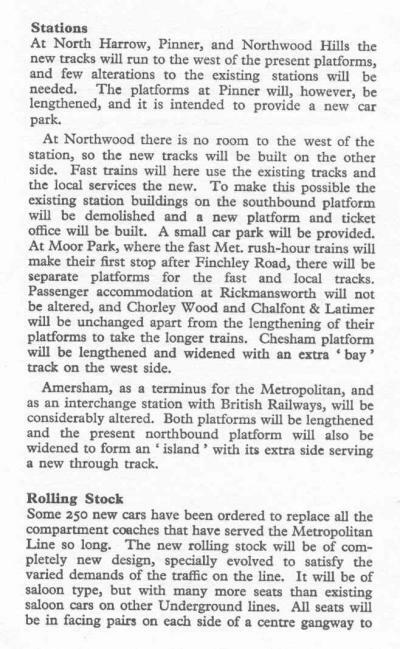 In order to accommodate terminating trains, a new platform was added at Amersham by widening the embankment and putting the new platform (and goods loop line) on what was then the back of the station. 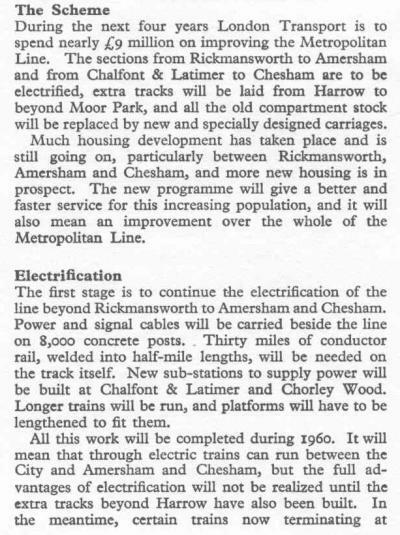 A new signal cabin was built to replace signal boxes in the area and the new cabin controlled the line towards Rickmansworth, including the Chesham branch and junction at Chalfont & Latimer. 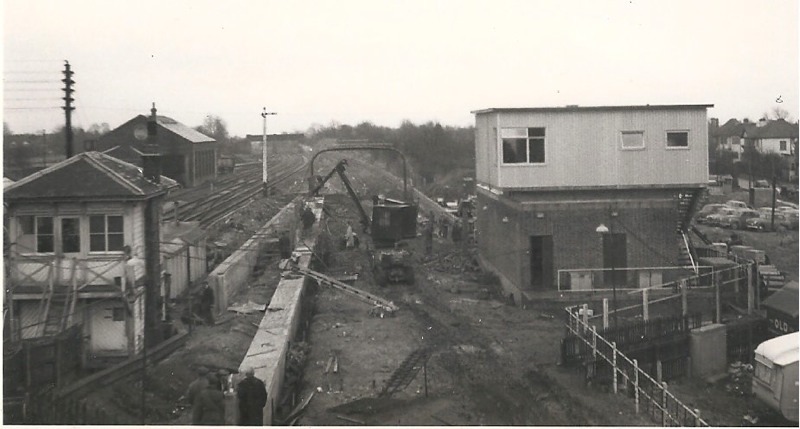 The above picture shows the new signal cabin on the left (the old one is on the right) and the new platform and lines being built. The above picture shows the widened embankment towards Station Road. 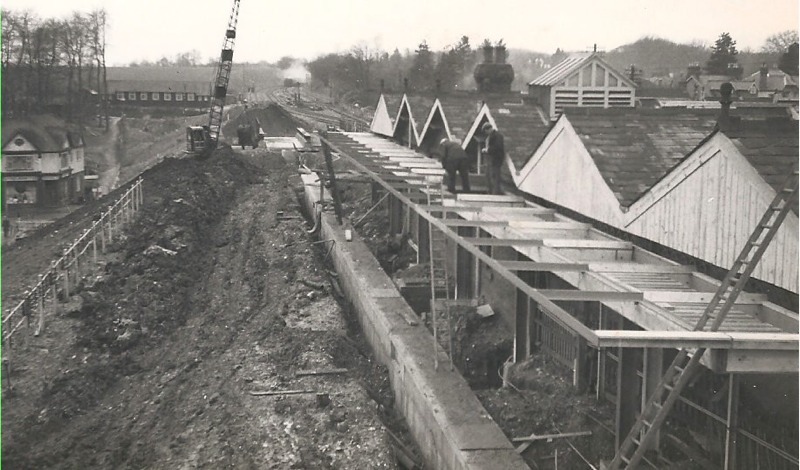 A new bridge had to be built across Station Road. The new platform 1 is being build with a canopy, being located at the back of the original station. new sidings were provided to the north of the station to turn back the terminating Metropolitan Line trains.